Get ready to get unladylike with this field guide to the whats, whys, and hows of intersectional feminism and practical hell-raising. Through essential, inclusive, and illustrated explorations of what patriarchy looks like in the real world, authors and podcast hosts Cristen Conger and Caroline Ervin blend wild histories, astounding stats, social justice principles, and self-help advice to connect where the personal meets political in our bodies, brains, booty calls, bank accounts, and other confounding facets of modern woman-ing and nonbinary-ing. 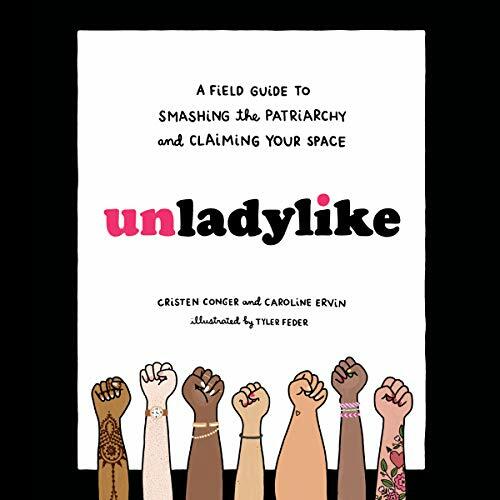 By laying out the uneven terrain of double standards, head games, and handouts patriarchy has manspread across society for ages, Unladylike is here to unpack our gender baggage and map out the space that's ours to claim.